Kuhn Construction provides many different finished basement flooring options, all of which are designed to keep your basement warm, comfortable, and beautiful for many years to come. 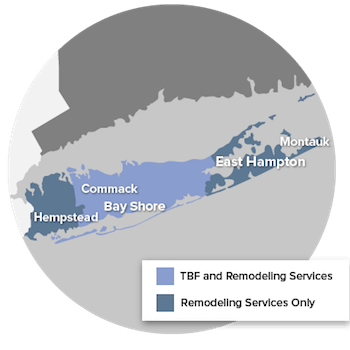 We offer our basement finishing services throughout New York, including Islip, Brookhaven, Smithtown and areas nearby. Call today to schedule a free estimate!